An unaltered photocopy of your DD-214, WD AGO, NAVPERS, NG displaying your Airman's Medal authorization. 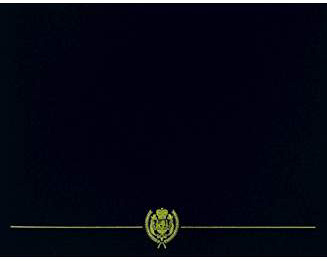 If your AM is not listed on your DD-214 you must provide a copy of your DD-214 and a copy of your authorization orders. The Airman's Medal derives from the Act of Congress that created the Soldier's Medal (Public Law of the 69th congress, approved July 2, 1926), which was amended by Public Law 86-593 (approved by the 86th Congress on July 6, 1960), amending Title 10 of the United States Code to provide the Air Force with authority to present a distinctive version of the Soldiers Medal to be known as the "Airman's Medal." The Airman's Medal has been in effect since July 6, 1960. The Airman's Medal may be awarded to service members who, while serving in any capacity with the Air Force, distinguish themselves by heroism not involving actual conflict with an enemy. The Airman's Medal is worn after the Distinguished Flying Cross and before the Bronze Star. Additional awards of the Airman's Medal are denoted by oak leaf clusters. The Airman's Medal was designed and sculpted by Thomas Hudson Jones of the Army's Institute of Heraldry. The first recipient of the Airman's Medal was Captain John Burger, USAF, who was awarded his medal on July 21, 1960, for an act performed on September 9, 1959. In the center of a bronze disc one and three-eighths inches in diameter with an oxidized satin finish, the figure of Hermes is shown in profile resting on his left knee while releasing an eagle with displayed wings from his open hands. 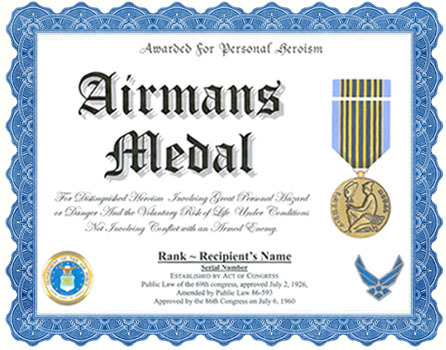 Directly in front of the figure of Hermes and following the curvature of the medal is the word AIRMAN'S in raised letters, and in the same position behind the figure, the word MEDAL. The Greek god Hermes was the son of Zeus and represents youth, vigor, and boldness. The eagle being released is the American bald eagle and refers to the United States; its release symbolizes the ideals and aspirations of American airmen. The reverse contains a stylize laurel wreath. Within the laurel wreath, and at the top of the medal in two lines, is the inscription, FOR VALOR in raised letters. The space below the wreath is used for engraving the recipient's name. The laurel represents achievement through heroic conduct. In the center of the ribbon, seven gold and six dark blue stripes alternate. The ribbon is edged in light blue. The design of the ribbon is based on that of the Soldier's Medal, with the red and white stripes in the Soldier's Medal being replaced by the gold and blue stripes in the Airman's Medal (which are also configured in a broader array), and the edge stripes of the Airman's Medal are lightened to further distinguish the two ribbons. The basis for the Airman's Medal is the legislation authorizing the Soldier's Medal, July 2, 1926, as amended July 6, 1960. It was specifically authorized for the Air Force through enactment of Section 8750, title 10, United States Code. 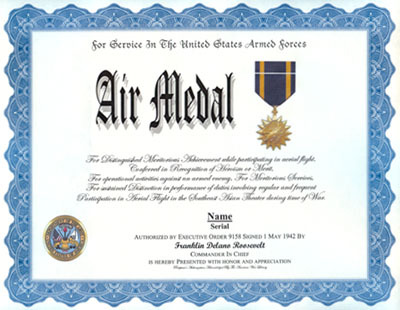 Awarded pursuant to Section 8750, title 10, United States Code to members of the Armed Forces of the United States or foreign military personnel who, while serving in any capacity with the United States Air Force, distinguish themselves by heroism involving voluntary risk of life under conditions other than those of actual conflict with an enemy.